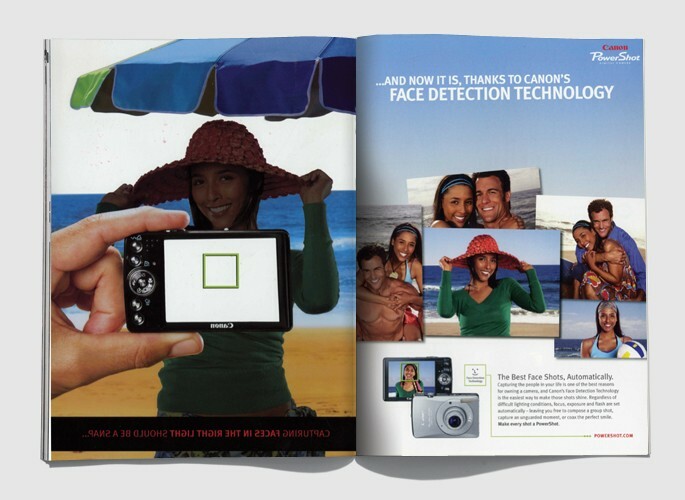 WIRED created a high-impact insert that highlighted Canon PowerShot digital camera’s face detection technology. Print: WIRED created a custom 4-page insert. The first page featured an acetate cover that when turned, revealed the final shot—placing the reader as the photographer. 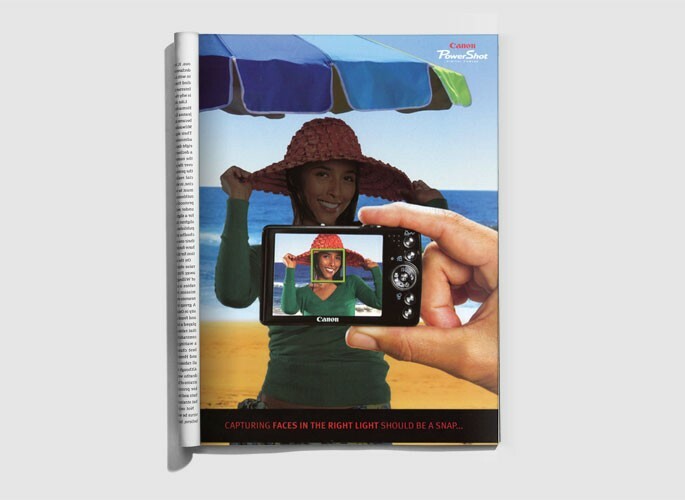 The back page of the insert highlighted the digital camera’s key features.